Unite has won a ground breaking legal victory over so called “umbrella employment” firms that exploit thousands of workers through bogus self-employment. The union vowed “to ensure that other workers are not denied their basic employment rights”, after a tribunal ruled that Unite member Russ Blakely (pictured below), a pipe fitter at Broadmoor hospital, was a staff member rather than a self-employed contractor. With Unite’s support, Blakely took case before a tribunal after his employer, a payroll company acting as a middleman for an NHS contractor and a recruitment agency, denied him holiday pay and unlawfully took employers national insurance contributions from his wages. Blakely was also excluded from receiving sick pay and an auto-enrolment pension. An initial tribunal in Reading, Berkshire, ruled that Blakely was self-employed and not a staff member entitled to workers’ rights. However, an Employment Appeal Tribunal has reversed the ruling and set a legal precedent. The appeal found that Blakely was an employee despite what his contract stated, because he worked under the direction of his bosses. 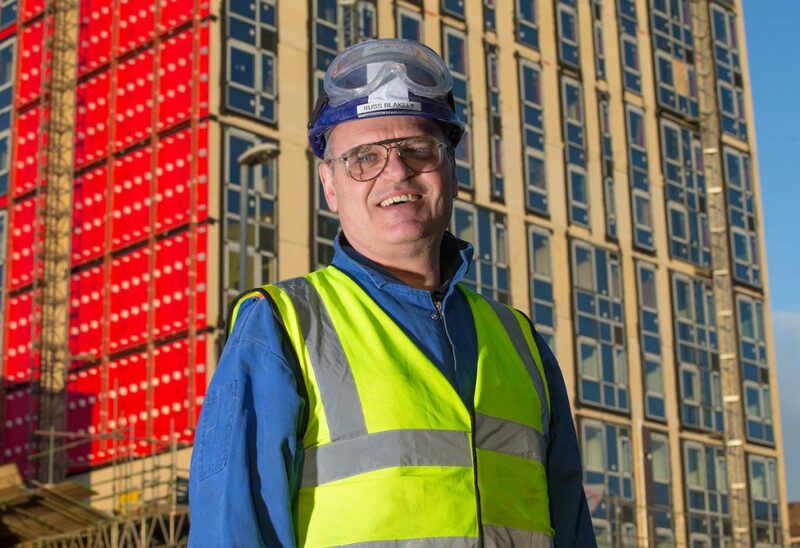 Unite assistant general secretary Howard Beckett hailed the ruling, secured by the union’s Strategic Case Unit, as a “groundbreaking victory… in the fight against bogus self-employment in construction and other sectors”. “It blows a hole in the way that employment agencies hide behind payroll and umbrella companies and pretend that they are not responsible for the employment of the workers they recruit,” Beckett said. “The fact the Employment Agency Tribunal held that a worker could be jointly employed by two organisations is a game changer in the campaign against bogus self-employment. Beckett said the decision “sends out an unequivocal message to all those involved in bogusly self-employing workers, Unite and our Strategic Case Unit is on your case”. “Whilst this isn’t the type of appeal that a mistreated worker might bring on their own, employers should beware, as Unite members have the unwavering support of the country’s largest trade union,” Beckett explained. Blakely worked for On-Site Recruitment Solutions Limited, however his salary came through a payroll firm called Heritage Solutions City Limited, which deducted £18 a week from his wage. He told Unite Live, “I’m glad about the decision but this wasn’t really about me as an individual. It’s about setting the stall out for how workers should be treated in 21st century Britain and trying to roll back some of the injustices that are plaguing workers in this country today.